After production house Studio Green snapped up the distribution rights for 'Atta Kathi' – marked for an August 15 release — expectations are running high. Added to the fact that this came after acclaimed directors like Vetrimaran, Venkat Prabhu, Pandiraj and Rajesh praised the soon-to-be released film, the crew of the film is on cloud nine. And for Nandita, the female lead in the film, it has become a dream debut in Kollywood and it’s “all thanks to director Pa Ranjith,” she gushes. Nandita made her debut in Sandalwood with 'Nanda Nandita' which was a commercial hit. It was later remade in Tamil with the same name where Meghna Raj reprised her role. “Ranjith had seen me in the movie and met me in Bangalore. The very next day, I got a call from Chennai offering me a role in 'Atta Kathi',” says Nandita. According to the actor, she made the cut for the role as she has strong South Indian looks, which impressed the filmmakers. Nandita plays the character of Poornima in a movie, with whom the hero falls in love twice — once in school and again in college. “I never felt like I was shooting for a movie. The film crew was casual and it felt like family,” she said. Though language was a problem initially, Nandita speaks fluent Tamil now. “I promised to learn the language before shooting for Atta Kathi ended and I kept listening to people speaking. 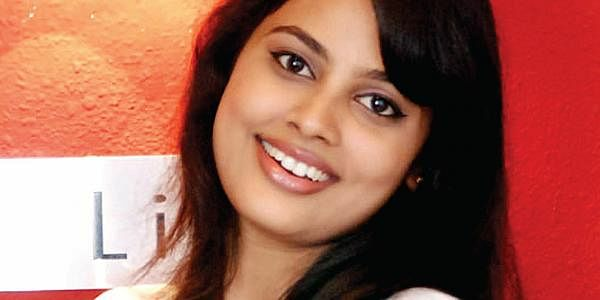 Now I can understand and respond in Tamil,” chirps Nandita, who started off as a model. Nandita is currently part of a flick titled 'Nalanum Nandiniyum'.